Then we talked about the first project, we will be working on for the next three weeks. 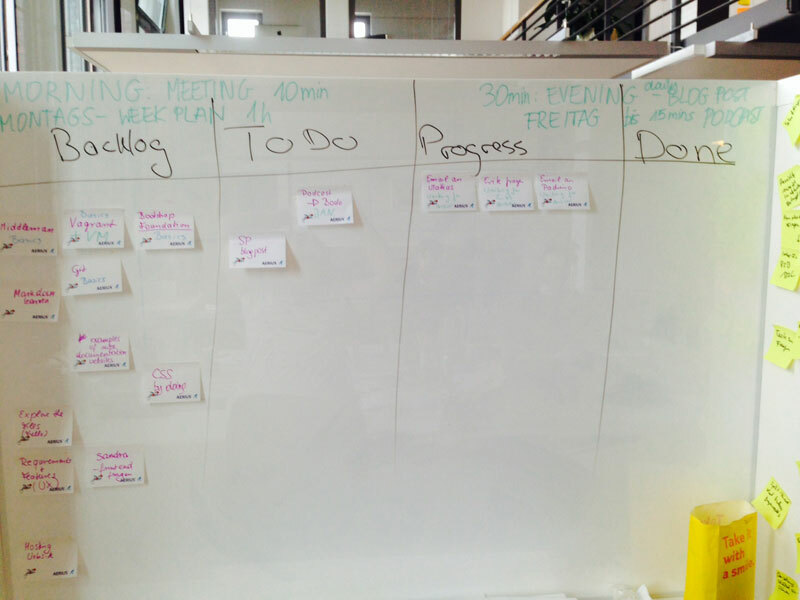 We brainstormed the tasks and make it visual, we created our very first Scrum Board. Looks great, doesn’t it? 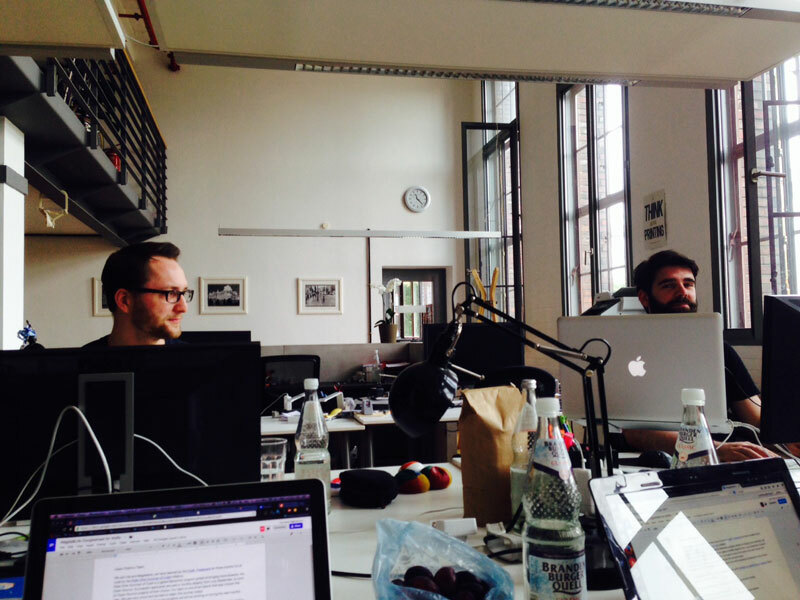 We contacted the Padrino Team to say hello and ask about all the things we shall consider while building a documentation website for the framework. We identified some technologies we have to learn before getting down to work, like Middleman, Bootstrap/Foundation, Vagrant, Git. It was a great day but overwhelming at the same time. So many things to do and to learn! Finding a way to work together. It’s easy to get lost in details, if every 5 minutes another topic occurs. And this can be too much for the first day. So it’s better to step back and write the new occured technology down on our bucket list. Creating the Scrum board helped me a lot to stay focused. We have enough time to learn all the things. Wow, it’s 6PM already, the time went by really fast. Today was a ’setting it all up day‘ and with our Scrum Board behind by back I feel there will be time to take care of all of listed tasks and ideas. It’s really good to have it; it would have been too much, to keep it all only in mind. Still, my head is full 🙂 I’m looking forward to tomorrow, to set up and learn some new tools, we will be using.